Every day, I learn little by little that trekking isn’t just about walking on hills and mountains. There is just so much involved. This unbelievably brilliant picture was shot by Ethan Dsouza at Kedarkanta. There are quite a few animals on the trail – dogs, horses, sheep, mules, cattle. I personally want to go on a trek simply to be at close proximity with all these animals for a whole week. For instance, the basic connection while trekking is with nature. Nature itself is so vast. So if you’re on a trek, you can learn about trees, birds and animals around you. You can learn about which flower is called what and why it’s called so. You can learn about Himalayan griffins (and I thought those birds were mythical creatures, only to learn yesterday that they actually exist), about red pandas, about colourful rhododendrons and about deodar and cyprus trees. Another thing I learnt yesterday, for instance, is of Bhojpatra. A tree on whose leaves the Mahabharatha and Ramayana were written. I find that fascinating! I can almost picture Vyasa narrating the Mahabharatha to Ganesha, who sits, scribbling away on a paper with a quill. In fact, for a person who drinks up mythology, there is a LOT of treasure buried on mountain trails. Every peak or lake has a story behind it. Every river and stream has a myth attached to it. I don’t think it matters whether these stories are true or not. They’re just so fascinating. For instance, there is a peak called Swargarohini, and apparently, it was here that Yudishtira (and his dog) found a stairway to heaven. Hence, the name Swargarohini. There is also a Black Lake that never freezes throughout the year despite being bang in the middle of the Himalayas. Just the other day, I asked my colleague about the story of a fort on some trek. He absolutely sold to me a story about how a king built the fort because he was sad that his daughter ran away with a boy. Of course, sometimes, it is fun to make up “folklore” to troll your colleagues. 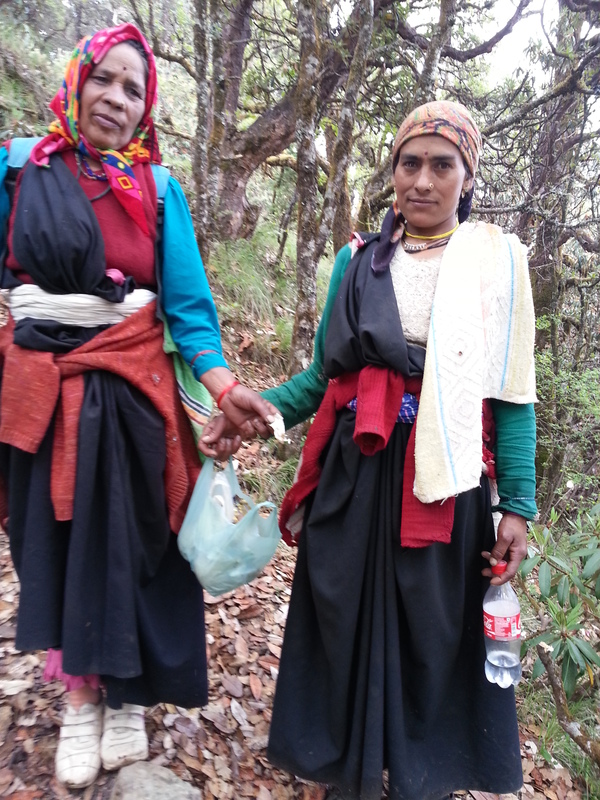 Beautiful ladies at Roopkund helping out in the Greentrails project. 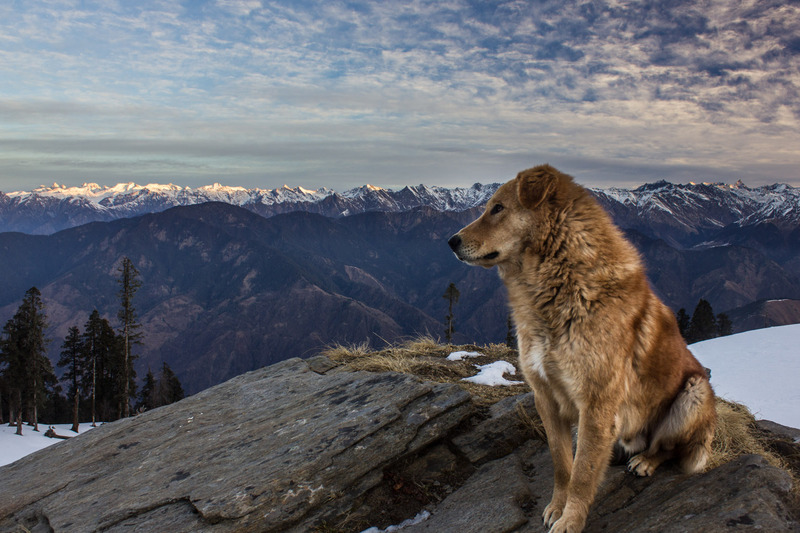 This photo was shot by Izzat Ansari, who heads the Greentrails project. And the people. 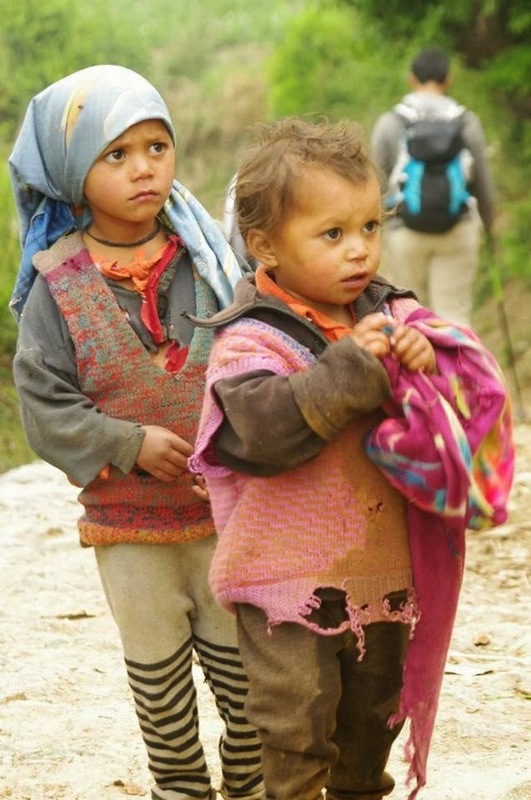 There are so many people involved when it comes to trekking. It’s not just about the trekkers. In fact, they make for just 10 per cent of the people. There are trek leaders, porters, guides, ground co-ordinators, photographers, writers, cooks, medical help, localites, and each of these people has his own story to tell. On a daily basis, I find that a lot has to do with the locals in all these towns and villages on the trail. 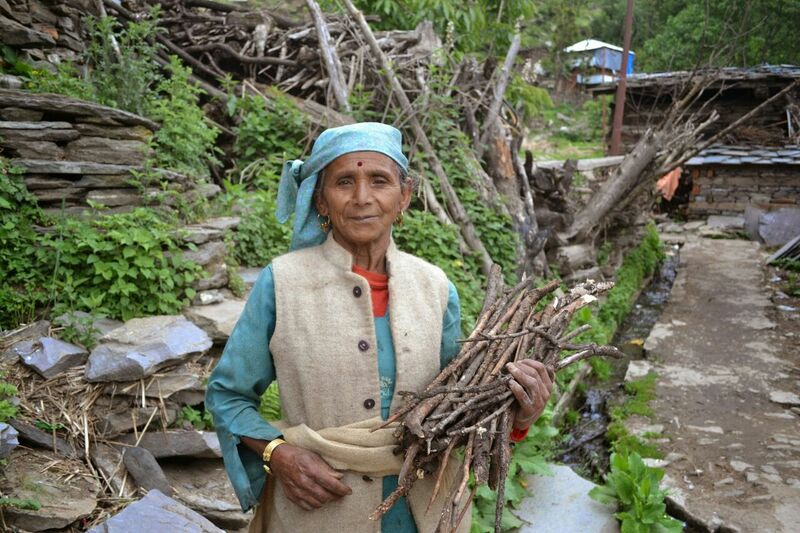 It’s a two-way street, where they make ends meet with the income they get from trekkers and in turn, trekkers take a truck load of information back home. For instance, my friend learnt only last week that “Gurkha” doesn’t mean watchman. She was shocked to know that they’re a sect of people in the mountains, in fact, few of the strongest men in India, along with Sherpas. Now now, don’t scoff. I’ll bet most of you are ignorant about many such things, except you don’t know of it because, well, you’re ignorant. There are a few things, however, that you can’t afford to be ignorant about while trekking – your own health. You have to be fit, so you’ll learn about how to get fit. And you have to start two months in advance because you have no go otherwise. Also, when you’re on the slope, you’ll have to know about which medication to take when, if you get sick. You can’t be taking wrong medicines in the middle of nowhere and getting worse. You just can’t risk that. So trekking, after all, isn’t just about trekking. It’s a life-lesson package. Of course, at Indiahikes, I learn more about my country than anyone probably does. I learn about mountain ranges in every state, every district. I learn about different tribes and sects, different languages, different job options (things I never knew existed!) and about simple living. The best part about it is that all this learning is not theoretical. It’s all practical. If you open a Geography text book to learn about which river runs where, I go to the river to find out where it’s running. That’s kind of how life here works. I know I haven’t yet gone on a high-altitude trek, but writing about these things on a daily basis, and speaking to my bosses and trek leaders for just ten minutes every day, teaches me more than I’d learn in a year without these people around me. So, yeah, that’s what I do. I write about trekking. I envy you. I really, really envy you. brilliant post :) i wish i could trek too .